Do you own an Apple Series 4 watch? Apple unveiled its next-generation watch with many notable new features. From larger display with LTPO technology to curved corners, thinner bezels, and electrical heart sensor, it has reset the standards of a watch. Series 4 watch was also launched in 44mm case and 40mm case. Apple Series 4 watch launched in 44mm case has 977mm2 display. Watch has come out with S4 processor that enables it to run two times faster than its previous versions. The display of watch gives you the largest view ever and has an extended battery life of 18 hours on a single recharge. The water-resistant watch lets ejection of water from its digital crown that is 30 percent smaller than previous Series watch. It is your perfect workout partner that provides you metrics understanding your training style and also lets easy connection with your phone. Can You Use 42mm Band With 44mm Apple Watch Series 4? Did you have a Series 3 watch with 42mm case and now moved to the new Series 4 with a 44mm case? If yes! You must have a massive collection of bands of 42mm. You might be thinking of disowning your lovely collection of Series 3 bands with a heavy heart. Well, to your surprise your nice collections of Series 3, 42mm bands are compatible with Series 4, 44mm case. Use your older Apple watch bands on to your new watch. 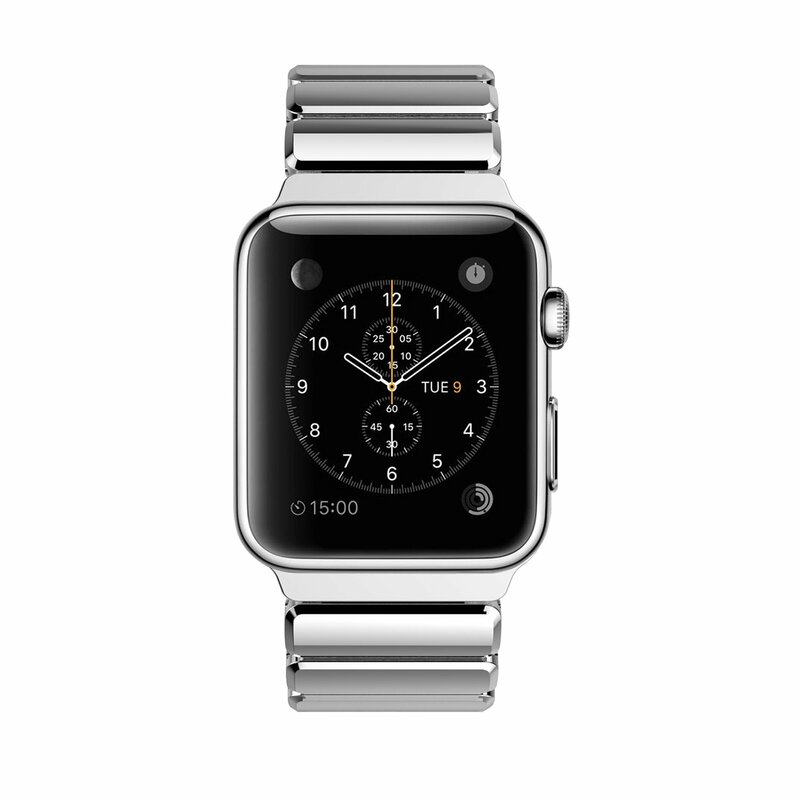 You can even go for third party bands of Series 1, 2, and 3 to design your new 44mm watch. 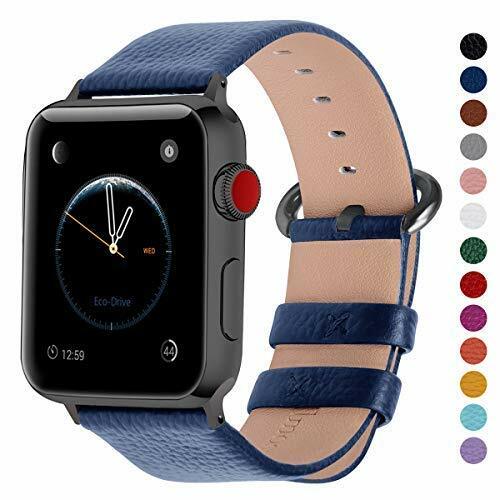 What can be more exciting than having tons of bands to style your Apple Watch Series 4 of 44mm? Here are the best bands for 44mm to decorate your watch. The band is the perfect fusion of link and classic bracelet. Made from zinc alloy, the stylish mesh is very light in weight as compared to the bands of stainless steel. This Limitless band is compatible with your Apple watch and fits both sports and watch editions. Whether the band does not fit or you changed your mind, Limitless gives you 90-days easy return period. Along with free shipping, the band is also available with a 1-year warranty. 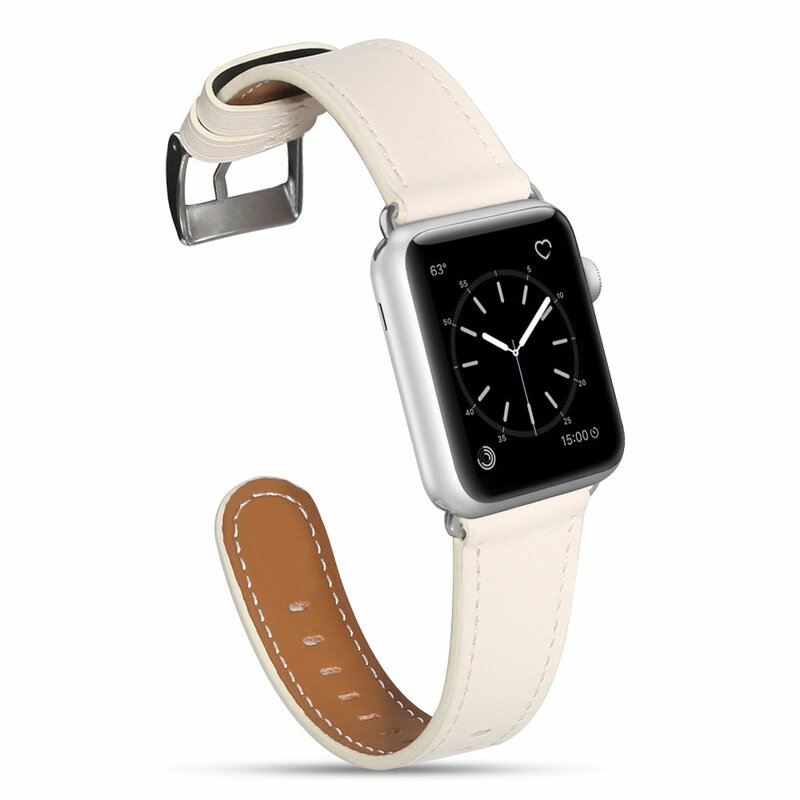 The off-white leather band, when fixed to your Apple Watch, makes it stylish. This soft and comfortable band is highly durable and securely fixes to the watch. Double removable clips on the band make it more stable and easy to wear. 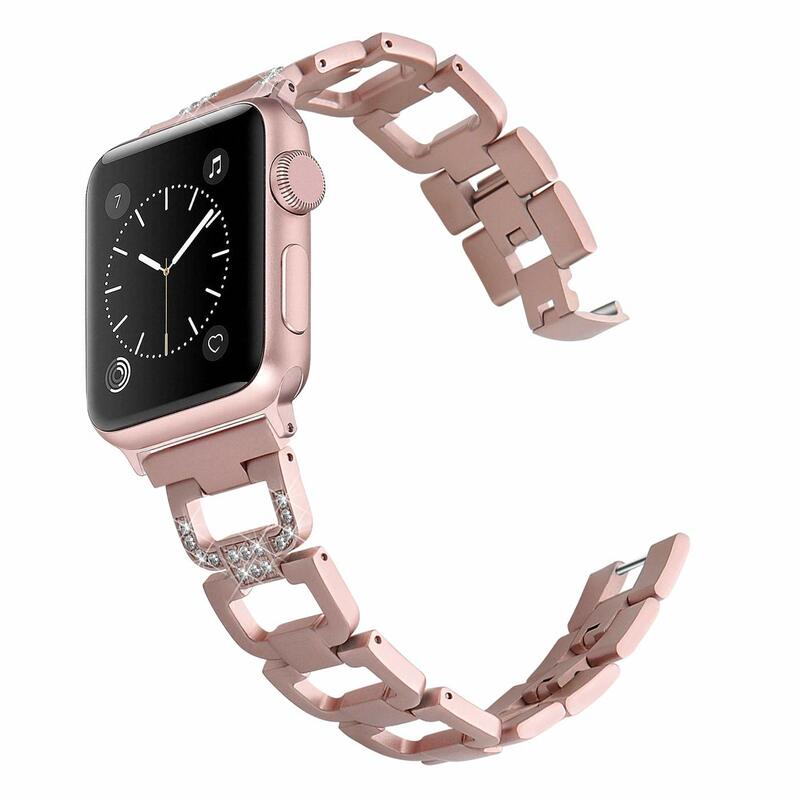 The stainless steel buckle is precisely polished and tightly secures the Apple watch with 44mm case on to your wrist. It offers you guaranteed quality of the band with its 18 months warranty. Give your watch a touch of style and elegance with this silver D-link bracelet. This band with hypoallergenic stainless steel gives a nice fit to your wrist with its resizable watchband clasps. Along with its high quality and durability, the band also has a 1-year warranty. Limitless offers you an outstanding service by giving you 90 days return period if the band doesn’t fit well to your wrist or you change your mind. Crafted from high-quality stainless steel, the iWatch band safely secures your 44mm case with the refined steel connectors on both sides of the band. The band is uniquely designed with double button clasps that firmly fold to prevent automatic loosening of the strap. This waterproof bracelet can be easily resized with the removal tool to fit the wrist of 140-205 mm size. With 12 months warranty, the band gives your wrist a smooth touch. Give your 44mm case a sporty look with this breathable replacement wristband. 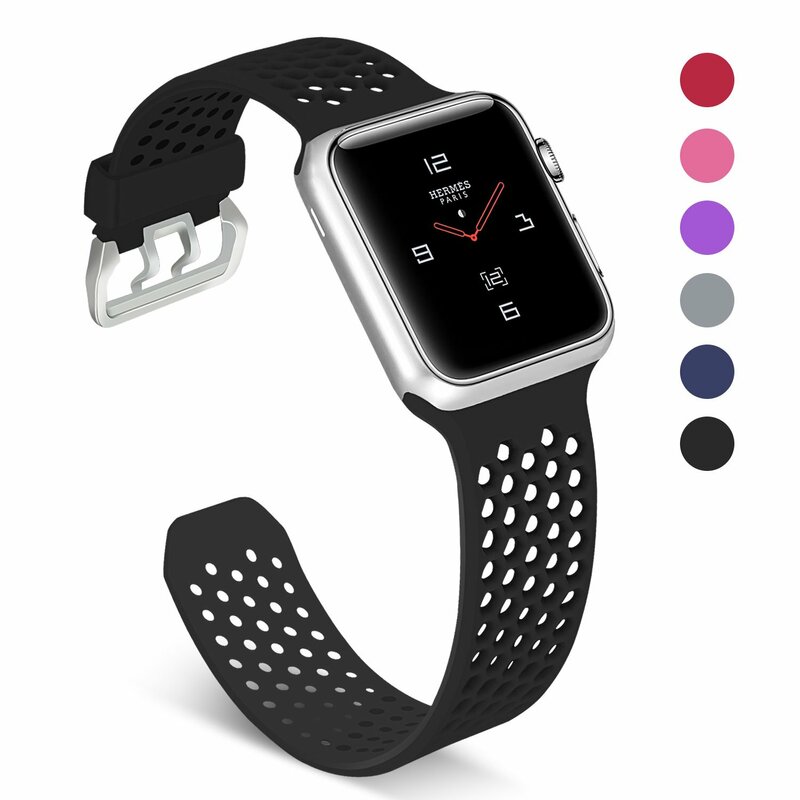 Made from top quality silicon the iwatch band is compatible with both sports and watch edition. Its skin-friendly material keeps your wrist at comfort all day long. The stainless steel buckle of this waterproof band makes it secure. This genuine leather band is available in four colors- grey and black, hot pink and black, red and black, and in all black. Packed with 180 days warranty, the band for 44mm case Apple watch ensures durability. Fullmosa band is a genuine cowhide leather loop with stainless steel buckle that makes it a long-lasting strap. This fashionable watch is specially designed to elevate looks of your Apple watch. This irritation resistant band gives your wrist a comfortable touch by giving a perfect fit. It is easy to change the band as it comes with a special tool to securely fix it to your 44mm case of iWatch. Design your Apple Series 4 watch with this stainless steel metal band. This stunning band with embedded stones gives your wrist an appealing look with the ultimate band that is compatible with your 44mm case iWatch. The folding clasp in the wristband lets you easily resize it to give your wrist a nice fit. Go versatile with the stainless steel band that lets your wrist experience the coolness of steel. This classic band gives a comfortable fit with a clasp lock design that makes it easy to adjust the size. The band made for your 44mm case Apple watch Series 4 is compatible with sports and watch edition. The band will be delivered to you by free shipping and also comes packed with a warranty of 1-year. Whether you change your mind or watch doesn’t fit you, limitless offer you 90 days return policy on their fantastic product. Style your Series 4 watch with the beautiful bands to elevate the looks of your watch to another level. The bands in this article will nicely fit your 44mm case of Apple Series 4 watch.